Tomorrow begins the first Crewel Embroidery Retreat of 2015. I've got 5 women coming and I can't wait to meet them all. Four of them are "returnees." That is pretty great because I know the students already and it will be less stressful. I've got some new stitches to share and they are really beautiful and fun to do. It promises to be a beautiful weekend with no humidity. I am lucking out with the weather this Retreat Season. Although ----- we really need rain. My garden is parched and the plants are looking like they can use a drink of water. With our well and country water situation (or lack thereof), that doesn't happen here. I know many of you are experiencing much worse drought so I shouldn't complain. Julia and I snuck off along with my Mom Nancy to Swan's Island, Maine for a few days to visit friends. It was a great trip. If I can, I'll post some photos next week. 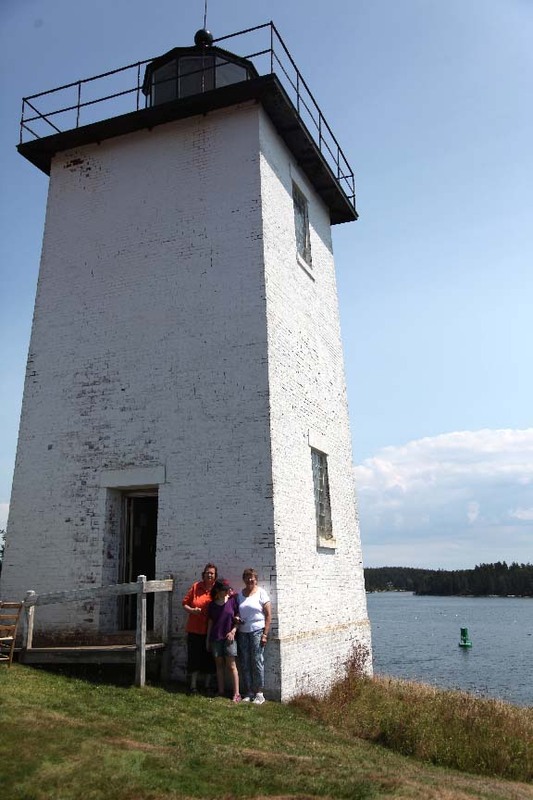 We climbed this lighthouse and saw forever! 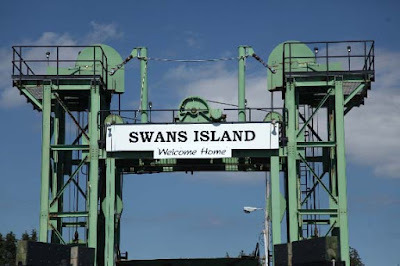 Swan's Island is a great vacation - no stores except the little grocery store and the lobster pound where you can also buy gas. When you are there, you really get away from everything. Heaven! Maybe not for everyone but definitely for me. If you want to travel there, I suggest you check out the rentals on this site. There is one of the first of the new day letterpresses called Saturn Press on the island. Check out their cards here. Hope you all are enjoying the fleeting days of summer. So funny Karen. Never really think about the word Crewel and cruel. Should rename the technique???? ?